On Monday, May 18, 2015 atbrapproximately 12:30 PM officers from the Concord Police Department respondedbrthe Bank of New Hampshire, located at 167 North Main Street, for a report of abrrobbery. Upon arrival police were toldbrthat a subject entered the bank and handed a teller a note demanding cash.brAfter obtaining a quantity of cash, the subject fled the bank. He was last seenbrrunning in a westerly direction from the bank. 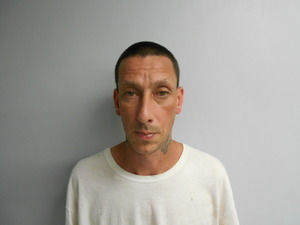 Lojko was arrested on a warrant at his home on Stone St. withoutbrincident at approximately 4:00 PM on Tuesday, May 19. 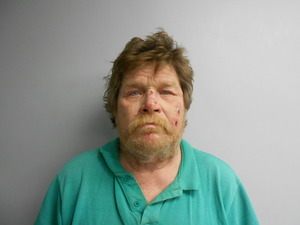 Subsequent to his arrest,bra search warrant was executed at his residence. Detectives recovered evidencebrof the crime inside the home, to include a quantity of money consistent withbrthe amount taken from the bank on Monday. This case would notbrhave been solved as quickly as it was without the actions of a particularbrUnited States Postal Service employee making deliveries near the scene of thebrrobbery. The employee was performing his daily routine when hebrcrossed paths with the suspect and recognized that something seemed amiss. Hebrmade key observations about the suspect’s vehicle which he later communicatedbrto detectives, leading to the positive identification of the suspect. On behalfbrof the citizens of Concord, we offer our sincere thanks to this individual. Concord PD received significant assistance in thebrinvestigation from the NH State Police, the NHSP Forensic Lab, the MerrimackbrCounty Sheriff’s Office, the Bradford Police Department, the NH Department ofbrSafety, and the NH Department of Motor Vehicles. 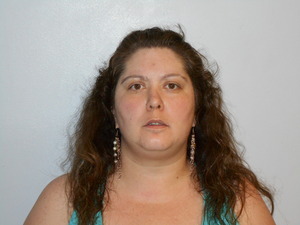 Lojko was booked at the Concord Police Department and refused bail. Hebrwas transported to the Merrimack County House of Corrections/Jail and will bebrarraigned this morning, May 20, 2015, at the 6th Circuit – DistrictbrDivision – Concord (Concord District Court). Police are asking the public to please call them or the ConcordbrRegional Crimeline (603-226-3100) if they have any information about thisbrcrime. Thisbrarrest occurred in response to an allegation of sexual assault committed againstbra male juvenile. Following an initial investigation, detectives developedbrprobable cause for the above offenses and obtained an arrest warrant. 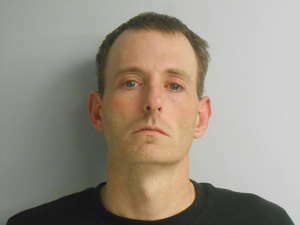 Mr.brLittlefield was arrested at his home in Concord without incident. Hebrwas arraigned at the Sixth Circuit Court, Concord District Division, on May 15,br2015. Bail was set at $60,000 cash. Thisbrinvestigation is ongoing and additional charges may follow. ConcordbrPD is asking for anyone with additional information about this incident orbrother offenses to contact the Concord Regional Crimeline at (603) 226-3100.
brbrbrbrbrbrbrbrbrbrbrbrbrbrbrbrbrbrbrbrbrbrbrbrbrbrbrbrbrbrbrbrbrbrbrbrbrbrbrbrbrbrbrbrbrbrbrbrbrbrbrbrbrbrbrbrbrbrbrbrbrBoth Machado and Clark were booked at thebrConcord Police Department. Machado refused bail and Clark was held on $5,000.00brcash bail. Both subjects were transported to the Merrimack County House ofbrCorrections & Jail. They will both be arraigned this morning, June 4, 2015brat the 6th Circuit – District Division – Concord (Concord District Court). On May 20, 2015 at approximately 2:55 PM police werebrdispatched to the area of Thorndike St. and Pierce St. for a 911 call that abrweapon had been pointed at two juveniles. Upon arrival police made contact with an adult, who saidbrthat at approximately 2:30 PM two juveniles ran into her house to report that abrman had just pulled a gun on them. Police spoke with the juveniles, who said that while nearbrthe corner of Thorndike St. and Pierce St. they saw a white male wearingbrsunglasses look at them. The male was standing at the opposite corner ofbrThorndike St. and Pierce St. facing easterly. The juveniles said that the malebrsaid “wassup” (What’s up?) to them and they ignored him. He reportedly saidbr“wassup” a second time to which the juveniles turned and responded in kind. Atbrthis point the juveniles said the male subject pulled a gun out from somewherebrin his waist and pointed it right at them. The juveniles said that the male appearedbrto be on his cell phone at the time. Upon seeing the gun, both juveniles fled the area. One ofbrthe juveniles reported seeing the male subject walk down Thorndike St., westbrtowards South St. 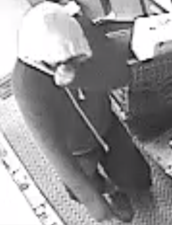 The juveniles described the subject as a tall and skinnybrwhite male, bald, in his 20s or 30s, wearing sunglasses, and a Gucci jacket.brThe Gucci jacket was described as green, red and black that was similar to abrwindbreaker that zips. The subject was also described to be wearing some chainsbraround his neck. The gun was described as being silver and large. The Concord Police Department has recovered a photographbrfrom nearby surveillance video and is asking the public to assist inbridentifying the individual of interest depicted in the photograph. brbrbrbrbrbrbrbrbrbrbrbrbrbrbrbrbrbrbrbrbrbrbrbrbrbrbrbrbrbrbrbrbrbrbrbrbrbrbrbrbrAnyone who has information relative to any criminal incident is asked tobrcall the Concord Regional Crimeline atbr(603) 226-3100, or submit information online to the website at: www.concordregionalcrimeline.com,bror Txt TIP234brand their messagebrto CRIMESbr(274637). Crimeline awards cash to anyone whose information leads to the arrest and indictment of criminals.brAll tips remain anonymous. 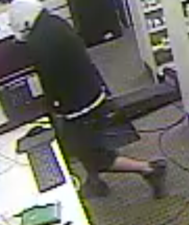 On Monday, May 18, 2015 at approximately 1:45 AM Concord Policebrresponded to the Penacook Pharmacy, located at 305 Village St. for report of abrpossible burglary in progress. A witness called to report that a white malebrsubject was smashing a front door or window to the Pharmacy. Police arrived moments later and saw that the front door to thebrpharmacy had been smashed in. A witness reported that the suspect smashed thebrfront door, crawled into the building and then exited approximately 60 secondsbrlater. The suspect was last seen running down an adjacent driveway (near 6brWashington St.). Another witness later reported seeing a car accelerate awaybrfrom the area at a high rate of speed. The car was described as a “wider” blackbrsedan with what was described as “3 tail lights”. Police later confirmed that the suspect made entry into the pharmacybrand stole a quantity of drugs. The suspect was described as being a white male,brstalky and approximately 5’10”. He appeared to be wearing dark colored shorts, abrdark-colored shirt, and a towel-like object covering his head. The Concord Police are actively investigating this case and are asking publicbrto assist in identifying the individual of interest depicted in the attached photographs. Anyone who has information relative to anybrcriminal incident is asked to call the ConcordbrRegional Crimeline at (603)br226-3100, or submit information onlinebrto the website at: www.concordregionalcrimeline.com,bror Txt TIP234brand their message to CRIMES (274637). Crimeline awards cash to anyone whose information leads to the arrest and indictment of criminals.brAll tips remain anonymous. 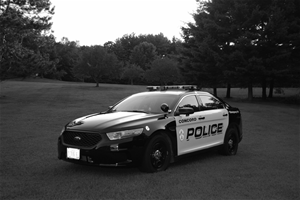 All information provided by Concord Police Department.